Â B.V. Transmission Industries is actively engaged in offering to the esteemed clients a proven range of technologically advanced Industrial Sprockets. Owing to their unique features such as flawless quality, excellent finish, effectual functioning, high efficiency and durability, Industrial Sprockets are widely appreciated by the national and international clients. 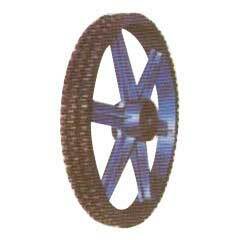 These Sprockets find wide application in Material Handling Equipments, Conveyors, Cable Machineries, Air Handling Unit and Car Parking Systems. 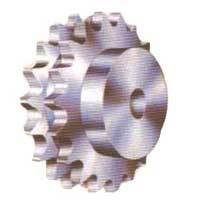 Industrial Sprockets are obtainable at highly competitive rates and within the predetermined time-frame. 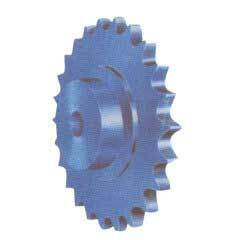 Consequently, we are considered to be a prominent Industrial Sprockets Manufacturer, Exporter and Supplier based in India. Fabricated using high grade raw materials, Roller Chain Sprockets are high on demand in the markets. Rugged design, high tolerance, fine finish and long term durability best describe the quality of Roller Chain Sprockets. These are made available to the clients in varied designs, sizes and materials.